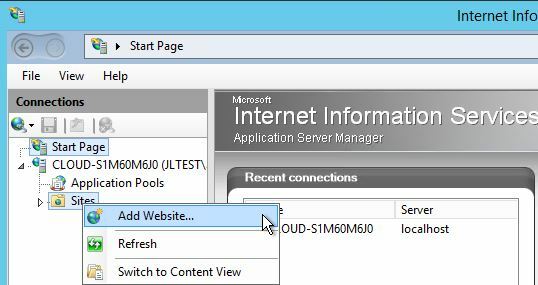 In this How-To, we will walk you through Building a Static Website on IIS Windows Server 2012. Static content is considered to be HTML files. These types of files have no movement and hardly change such as pictures or text documents. – Internet Information Services(IIS) installed on your server. If you need to install IIS, follow our guide Install IIS On Windows Server 2012 R2. 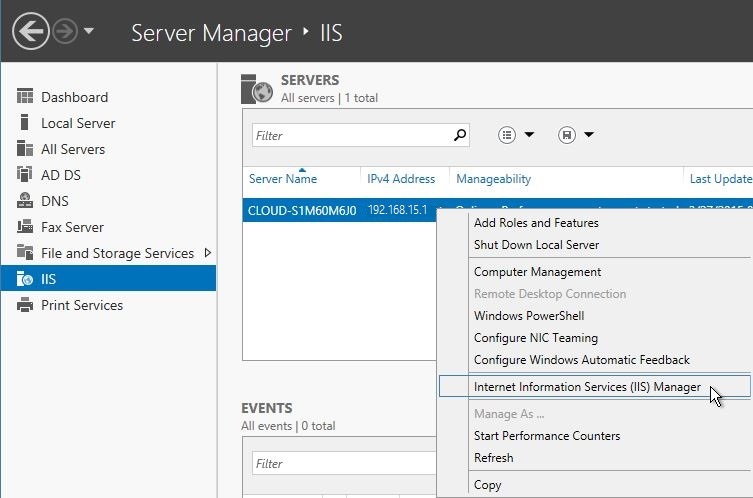 Open Server Manager, and select IIS, right click your server and select Internet Information Services (IIS) Manager. In the Add Website dialog box, enter a friendly name for your website in the Site name box. If the physical path that you entered in the previous step is to a remote share, click Connect as to specify credentials that have permission to access the path. 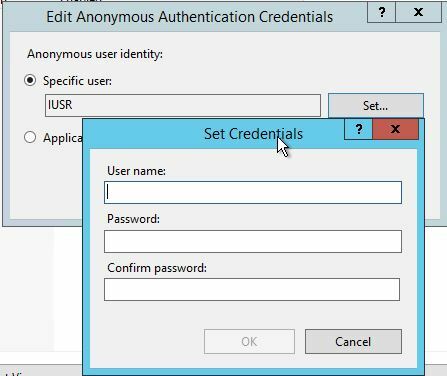 If you do not use specific credentials, select the Application user (pass-through authentication) option in the Connect As dialog box. If you must specify a static IP address for the website (by default, this is set to All Unassigned), enter the IP address in the IP address box. Enter a port number in the Port text box. Optionally, enter a host header name for the website in the Host Header box. If you do not have to make any changes to the site, and you want the website to be immediately available, select the Start Website immediately check box. 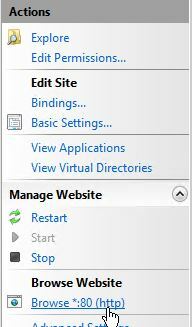 In Features View of IIS Manager, double-click Authentication. Select Anonymous Authentication/right click and select Edit to set the security principal (user credentials) under which anonymous users will connect to the site. 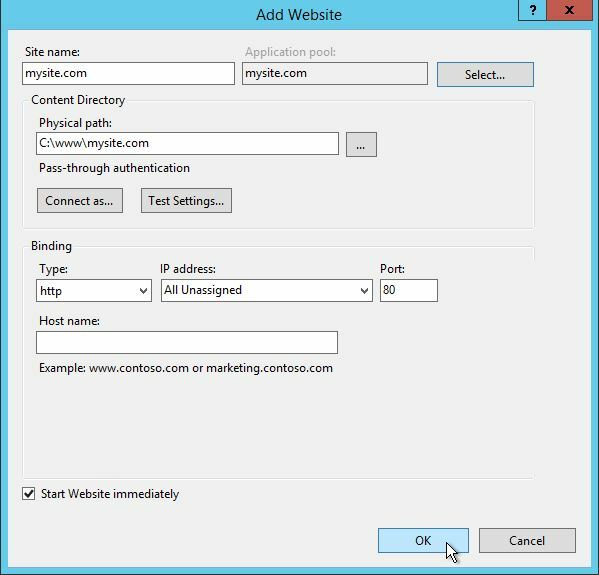 If you want to configure a specific user account that IIS uses to access your site or application, select Specific user. Then click Set to open the Set Credentials dialog box, and enter a user name and password for the identity. Then click OK. If you want IIS processes to run by using the account that is currently specified on the property page for the application pool, select Application pool identity. By default, this identity is the IUSR account. Click OK to close the Edit Anonymous Authentication Credentials dialog box. In Features View of IIS Manager, double-click Default Document. In the Name box, enter the file name that you want to add to the list of default documents and then click OK. This file name is added to the top of the default document list. Optionally, select a default document in the list and in the Actions pane, click Move Up or Move Down to change the file’s precedence. Optionally, select a default document in the list, and in the Actions pane, click Remove to remove any file names that you do not want to use as default documents. In Features View of IIS Manager, double-click Compression. Congratulations! You have just Built a Static Site on IIS Windows Server 2012. Thank you for following along in this How-To and check back with us for new updates soon. As part of making your website HIPAA-compliant, we recommend you read more about our HIPAA-Compliant Hosting.